Established in 1997 by a team of engineers and technicians, Niche Electronics provides state of the art manufacturing services to high technology companies ranging from commercial to sophisticated military programs. 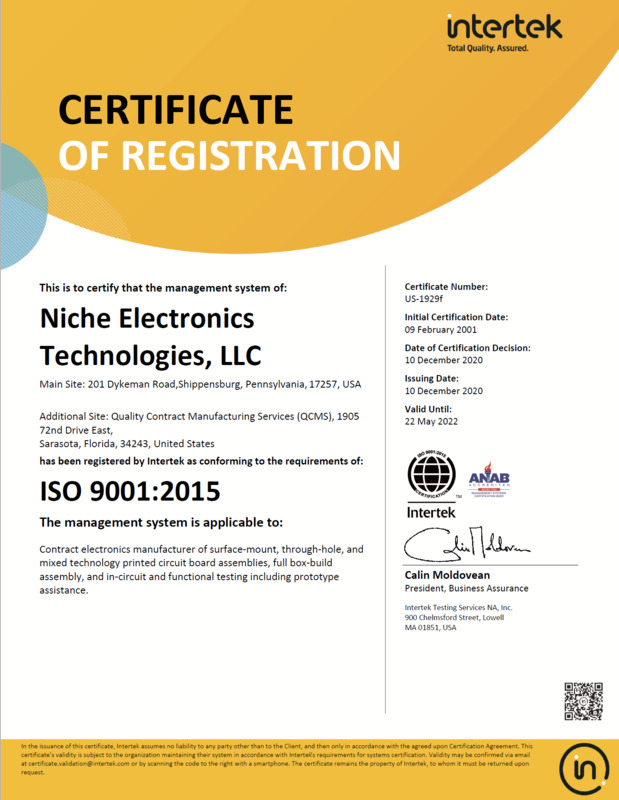 Niche specializes in low to mid volume, high complexity circuit board assembly including system level integration and test. Located in a 20,000sq. ft. facility in south central PA, Niche is within a 250 mile radius of more than a dozen high technology areas. Our solutions driven, quality focused team works within the guidelines of our ISO 9001/2015 certified quality systems. 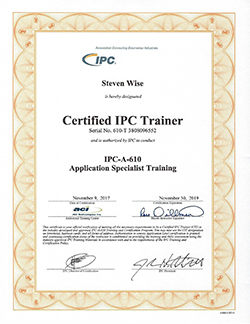 All operators and soldering personnel are trained to industry standards by our in-house trainer. 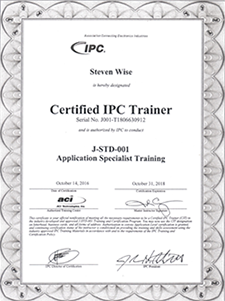 Formerly from the automotive industry, our Quality Manager is certified to train our staff to both J-standard 001 and IPC-610 rework specifications. We perform a complete receiving inspection, in-process inspection, and final inspection on all materials received and workmanship performed. Niche routinely undergoes vendor audits and is committed to continuous improvement initiatives.